The other evening, I was listening on the telly to a young artist giving a talk on Renoir. He talked about the little nudes, exquisite little nudes they are to me. And one got the feeling from him that Renoir painted far too many of these things. ‘Bathing Women’ this way, that way, back-view, front-ways. Renoir, as far as I’m concerned, couldn’t paint too many naked women. It was absolutely Renoir. He had to do this; and through these studies gradually come some absolute masterpieces. Friends have told me that there are too many Turners in the Tate. If there were twice the number, there still wouldn’t be too many.I can’t see it that way. It’s a misconception. Renoir made dozens of these small studies. But this young man didn’t see the point. In other words, he can’t love to the extent that Renoir was in love with his idea. 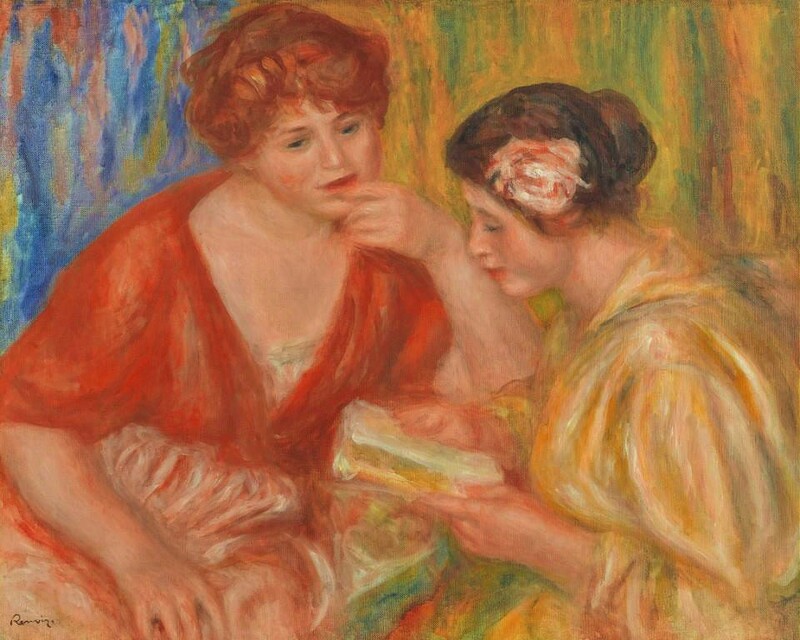 It was Renoir’s theme in life – one vast hymn to Nature and the beauty of women. Whether he paints melons or grapes or the sun or flowers or women, that was Renoir. And thank God it was. Albert Houthuesen from Walk To The Moon – The Story of Albert Houthuesen, by Richard Nathanson. Dr Albert Charpentier, Paris (sold: Galerie Charpentier, Paris, 30th March 1954). Purchased at the above sale by the vendor’s father. Paris, Galerie Paul Rosenberg, Exposition d’Oeuvres Dix Dernières Années de Renoir, 1934, no. 44. Amsterdam, Stedelijk Museum, Un Siècle de la Peinture Française, 1938, no. 219 (as dating from 1916). MM. Bernheim-Jeune (ed. ), L'Atelier de Renoir, Paris, 1931, vol. II, no. 644, illustrated pl. 201.